And 4 of the top ten are Ford Motor Company products. While we might agree on the obese MKT, we take strong issue with the idea that the SVO was ugly at all, much less a top ten. We ask our readers: is this an ugly machine? Was Ford’s “Form follows Function” methodology ahead of its time or did it just not work? 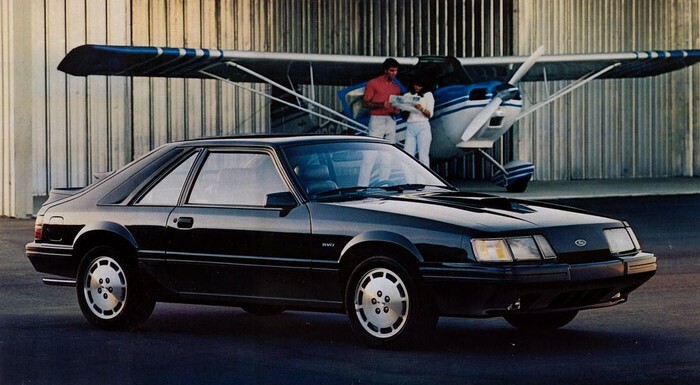 Our opinion (as an original Mustang owner): this is the best looking Mustang from the Fox years. 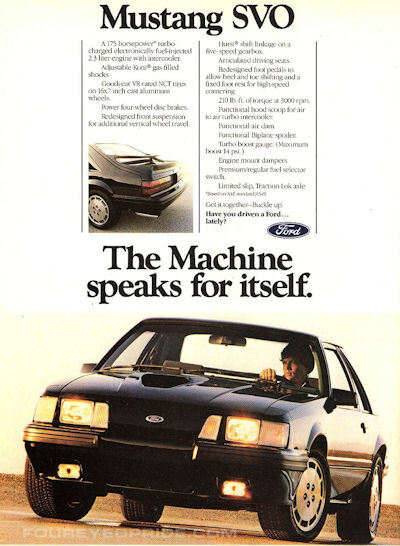 And the machines does indeed speak for itself.